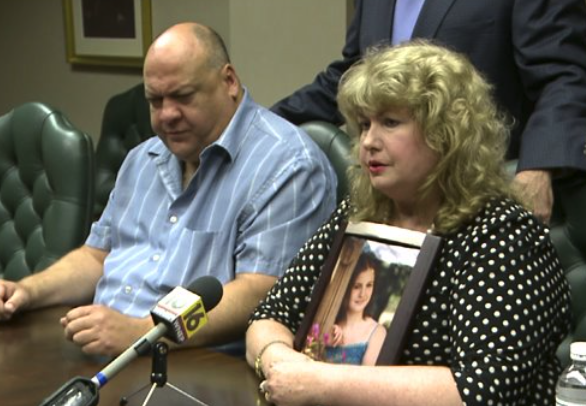 SCRANTON — A family in Lackawanna County who lost a daughter in a car crash four years ago is among those receiving a settlement from American auto-maker General Motors. General Motors has begun compensating the victims of crashes tied to faulty ignition switches in certain GM models after recalling those 2.6 million vehicles earlier this year. Kelly Ruddy was only 21 years old when she lost her life in a deadly crash on Interstate 81 back in January 2010. Kelly was driving north near the Bear Creek exit when she lost control of her 2005 Chevy Cobalt. The car flipped. Kelly was thrown from the vehicle and struck by passing cars. Her parents, Mary and Leo Ruddy have fought the vehicle manufacturer, General Motors, for the past four years and finally now GM has made a settlement with them for their daughter`s death. But the Ruddy’s say this compensation is no victory. “GM has taken our last surviving child, our hope, everything that we had and we have changed because of that,” said Mary Ruddy, who lost her oldest daughter to an illness shortly before Kelly died. “It took us a whole four years. It was extremely difficult dealing with GM. They just set up road blocks and didn’t want to deal with us and give us any acknowledgment,” said Leo Ruddy. General Motors is now admitting that a faulty ignition switch is responsible for numerous crashes and deaths across the nation. The company has since recalled 2.6 million vehicles, including those Cobalts earlier this year, saying the faulty ignition switch can cause the engine to shut off, turning off the car’s safety features including air bags. “It`s ten years too late, they should have did something back in 2004 when they knew about it , our daughter would still be here and still would God knows how many other people,” said Leo. GM has admitted that people within the company knew for years the switches were faulty but failed to fix the problem. “It would have cost 57 cents to correct the faulty ignition but they had a cost culture, they were concerned about saving pennies,” said the Ruddy’s attorney, Larry Moran. “The pittance, the amount that was the difference between Kelly being here and Kelly not being here and the fact that they had known for so many years,” said Mary. Under the settlement agreement with General Motors the compensation amount received by the Ruddy`s cannot be released.